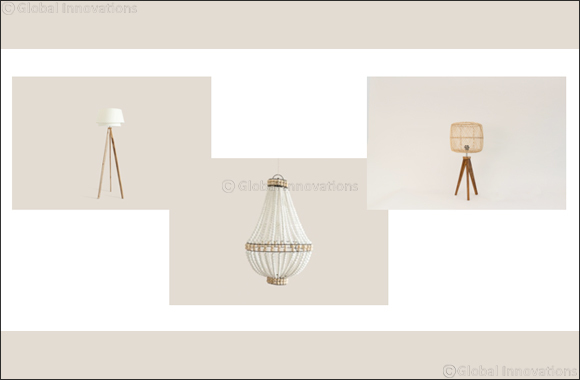 Dubai, UAE, April 01, 2019: Lighting is an essential ingredient when you’re decorating a room – not the afterthought that many of us consider, especially as the right lighting can lift your spirits and make you more relaxed and productive. If you’re tempted to spend more of your time picking out furnishings or puzzling over layouts, remember that lighting can completely transform a space – not just by brightening dark corners, but by affecting your emotions. Hanging Fixtures: Create individuality and freshness to a room with a beautiful hanging fixture in the middle of the room. The Bangkok Pendent is the perfect option for that effortless bohemian feel and instantly adds a touch of relaxation to your space. Floor Lamps: A floor lamp can also be a beautiful decor piece that transforms the overall look and feel of a room. They help tie any room together and act as the perfect finishing touch. The subtle Osaka Floor Lamp is the ideal option with its simple and fresh design – ensuring it fits in with most decor choices. Table Lamps: It's good to have a range of lamps scattered across the room to create varying heights and provide functionality for different tasks around the room. The Taipei Table lamp provides both functionality and can be easily matched with the design of any room due to its natural material.